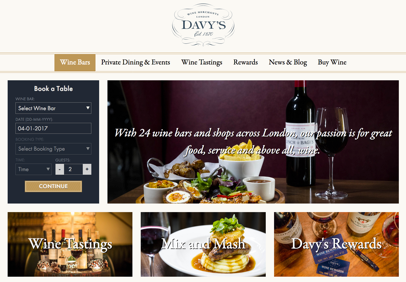 Davy’s Wine Merchants (Est. 1870) with over 25 wine bars and shops across London. Wine bars and restaurants can be booked online for private dining or functions. To increase online visibility through organic search and drive more qualified traffic and increase online bookings. I performed an initial SEO audit of on-page and off-page factors. Once I had a clear understanding of the problem areas and opportunities I prioritised changes by impact and ease of implementation. Before work commenced, it was clear that organic performance was on a downward trajectory. 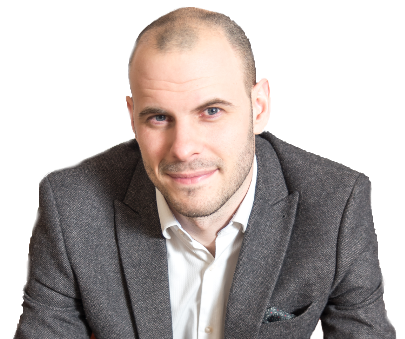 It was important that the reason for this was identified and proactive optimisation could improve overall performance. Work started in late July 2016. Almost immediately there were signs of a positive impact to changes made on the website. 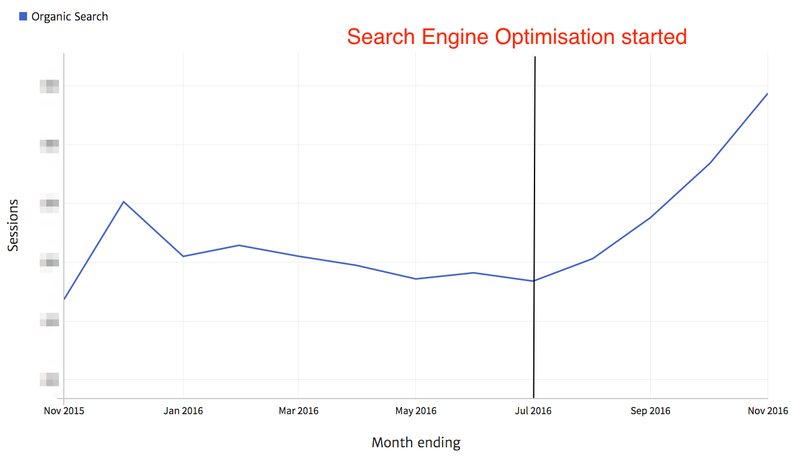 There has been incremental growth in each of the following months since SEO started. November’s data reflects over 100% YoY increase in organic sessions and online bookings have seen incremental growth in-line with organic visits.